Bend, OR (April 12, 2019) – Hydro Flask, an award-winning leader in high-performance, insulated stainless steel flasks and soft good innovations and a Helen of Troy Limited (NASDAQ, NM: HELE) company, is excited to welcome its newest Team Hydro athletes and outdoor industry partners, coinciding with the launch of its Journey Series™ insulated hydration packs, designed to revolutionize cold water experiences for mountain bikers. 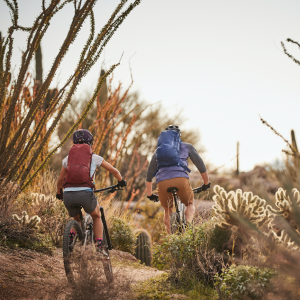 Professional mountain bikers Mark Matthews and Hannah Barnes join Hydro Flask industry partners Ladies AllRide and Rim Tours Mountain Bike Adventures in promoting the brand’s mission to inspire a joyful, active lifestyle through the newly released Journey Series, which launched on April 1. The collection’s 10 and 20 Liter hydration packs keep water chilled for more than 4 hours, delivering hands-free cold hydration that mountain bikers can enjoy without stopping or slowing down. As the newest members of Team Hydro, Matthews and Barnes join the brand’s lineup of more than 20 action sports and active lifestyle ambassadors. Both professional riders will share stories of inspiration through their social media channels while creating awareness for the brand. In partnership with Ladies AllRide and Rim Tours Mountain Bike Adventures, Hydro Flask will outfit professional mountain bike instructors with Journey Series hydration packs for group trail rides. Participants in the Ladies AllRide mountain bike skills camps will also receive hydration pack discounts and be eligible for Journey Series and other product giveaways. Ladies AllRide is committed to growing the presence of women in mountain bike communities across the globe through fun and educational mountain bike skills camps. Each event brings ladies of all experience levels together to improve their riding skills in a welcoming, non-competitive and fun environment. Moab-based Rim Tours’ professionally guided mountain bike trips showcase Utah’s Canyon country, Colorado’s Rocky Mountains, Arizona’s Grand Canyon and Sonoran Desert and Oregon’s central Cascade Mountains. Dedicated to uniquely refreshing experiences, innovative design and an unparalleled user experience, Hydro Flask continues to receive accolades for its insulated products. Hydro Flask has been the recipient of several Red Dot, GOOD DESIGN™ and iF Design Awards, including the coveted iF gold award. 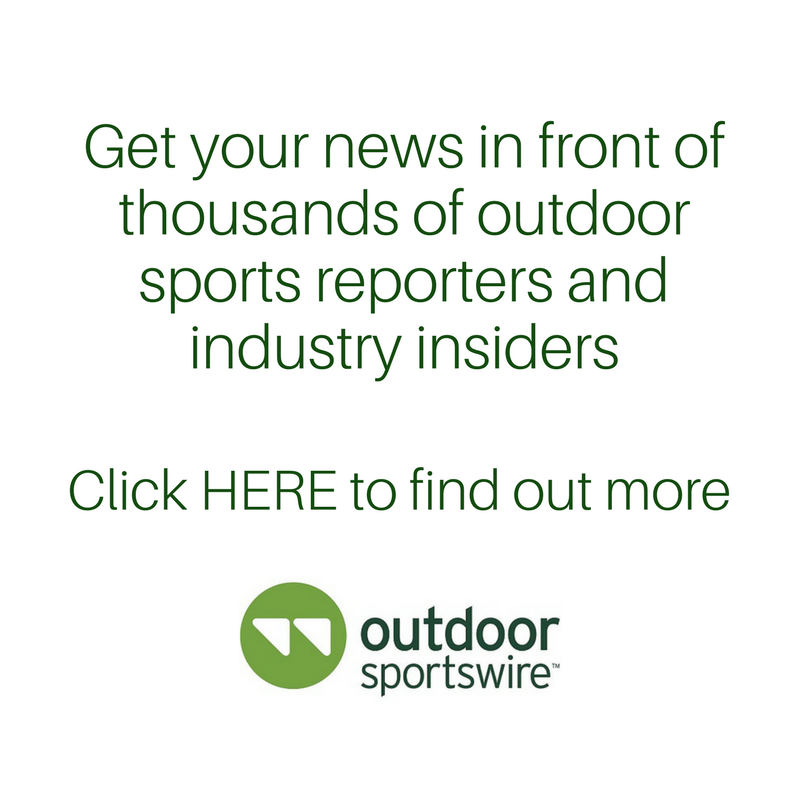 The company has grown to become the number one overall American water bottle brand in Sporting Goods and Outdoor, according to Sports One Source SSI reporting. Hydro Flask is the award-winning leader in high-performance insulated products from beverage and food flasks to the new Unbound Series® soft coolers. Believing that every adventure starts with two simple words: Let’s Go!, Hydro Flask creates products that facilitate an active and joyful lifestyle. Hydro Flask’s innovations showcase TempShield® double-wall vacuum insulation to lock in temperature, 18/8 pro-grade stainless steel to ensure pure taste and durable, ergonomic design for comfort and durability. Founded in 2009 in Bend, Oregon, Hydro Flask is committed to making tomorrow better – from using BPA-free, recyclable materials to its charitable giving program Parks For All, which supports the development, maintenance and accessibility of public green spaces so people everywhere can live healthier, happier and more fulfilled lives. Learn more about Hydro Flask, Parks for All, and our mission to save the world from lukewarm at www.hydroflask.com.